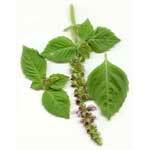 We are reckoned as one of the trusted Holy Basil Essential Oil Manufacturers and Exporters from the country. 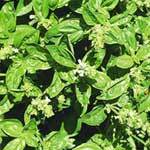 Basil Essential Oil is obtained from the plant named Ocimum basilicum. 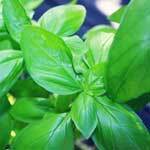 It is extracted from the leaf of the Basil plant accessible in brown to clear liquid. The oil is insoluble in water and soluble in alcohols and other essential oils. Ocimum Basilicum Oil has antioxidant activity. It is used in curing cough and cold and it is also used in food industry, perfumes, soaps, and shampoos.